The latest cybersecurity technologies are essential to block attacks, as well as remediate and recover from successful intrusions. But technology alone isn’t enough. 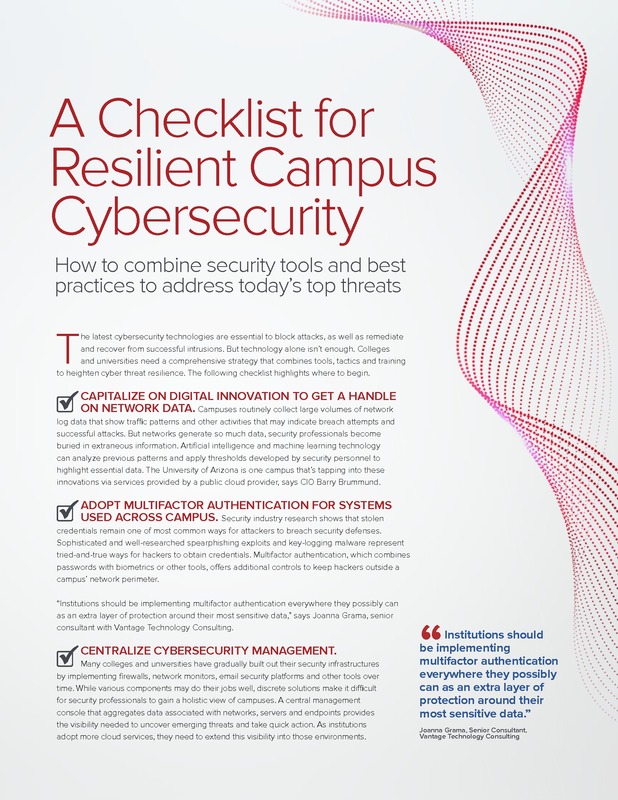 Colleges and universities need a comprehensive strategy that combines tools, tactics and training to heighten cyber threat resilience. Download this checklist to learn where to begin.